Bulimia is more than just a simple eating disorder that can be treated by diet, self-control and education. Rather, the root cause of bulimia can include such diverse issues as genetics, family of origin behaviour and upbringing, exposure to traumatic events in childhood and continued pressure on people, particularly younger adults and teens, to have the perfect body. Bulimia treatment at our Harley Street office is designed to address all the root issues and causes of the binging behaviour. We understand how challenging this can be for both the client as well as the family. The client may not realise what is triggering that desire to eat and then purge, and he or she may feel completely out of control at times. The family may feel helpless and at a loss as to how to help. Through a holistic treatment approach we can address these issues in psychotherapy as well as provide education, information, coping strategies and nutritional planning to learn a new and healthier way to deal with anxiety, anger, fear or stress. There is no one ideal bulimia treatment for all patients. Instead, our focus is to use the strategies, techniques and exercises from a range of different therapeutic styles to customise the treatment to suit the client. 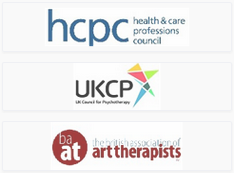 By having psychotherapists that are experienced in different therapeutic models we can uniquely create a treatment plan that is highly individualised and highly effective. Therapy will also help the patient learn new ways to cope with the stressors that triggered the binge eating behaviour. These new coping mechanisms will be developed over time and, like the therapy, will be based on the entire person and his or her own strengths and existing coping strategies. Through the holistic approach and working together as a mental health team our staff of therapists and experts in nutrition, exercise, education and family support can create a plan that literally supports the individual in the changes that he or she is making in life. This can include assistance for the family as well that may be struggling with how to be supportive and encouraging throughout the treatment plan. Instead of using a bulimia treatment that addresses only the symptoms our goal at the Harley Street office is to look at the person as a unique individual that has the power to change. From this perspective we include the client in all aspects of his or her treatment plan and promoting growth, self-confidence, positive change and healthy lifestyle choices in the future.